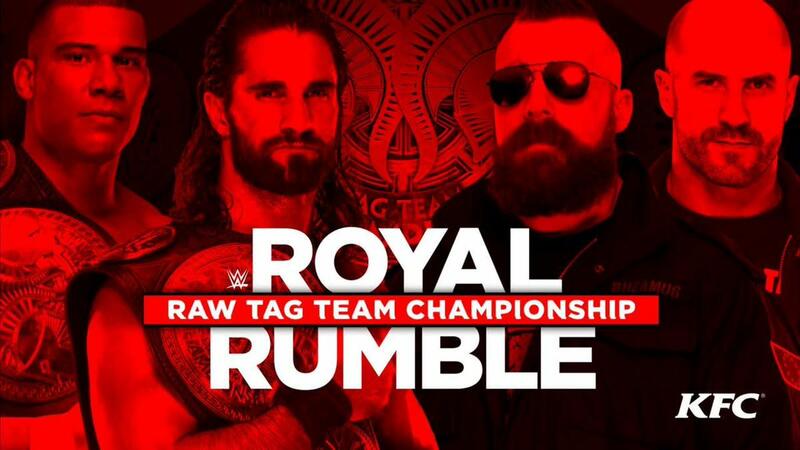 With less than three weeks before the pay-per-view, there are now six matches announced for the Royal Rumble. Seth Rollins & Jason Jordan defending their Tag Team titles against Cesaro & Sheamus was officially added to the card during a backstage segment on Raw last night. Cesaro & Sheamus lobbied for their rematch and accused Kurt Angle of favoring Jordan, but Angle made the title match official for the PPV. Rollins & Jordan started teaming together after Dean Ambrose was forced out of action due to a legitimate triceps injury. They won the titles from Cesaro & Sheamus on the Christmas Day episode of Raw. Cesaro & Sheamus lost to Titus O'Neil & Apollo Crews on Raw last night when O'Neil pinned Sheamus with a roll-up. Rollins, Jordan & Roman Reigns lost to Finn Balor, Luke Gallows & Karl Anderson in the main event, with Rollins being pinned by Balor and Jordan accidentally messing things up for his team during the match.